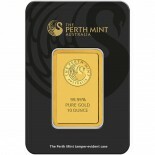 PAMP SA of Switzerland mints this 10 ounce .9999 gold bar. 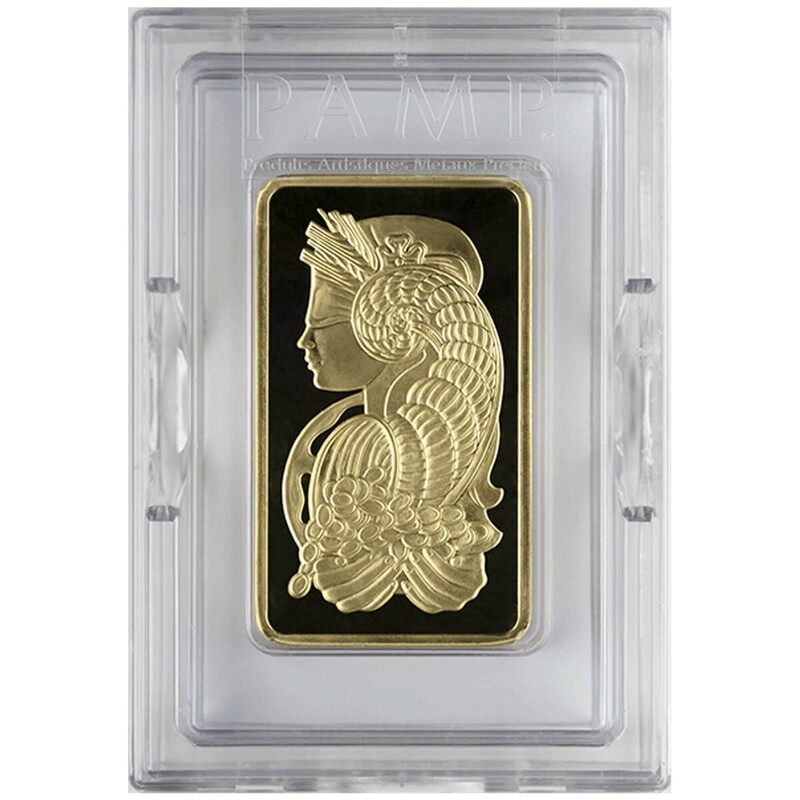 It features the goddess Fortuna on the front of the bar, the back portrays the PAMP logo, weight and purity. 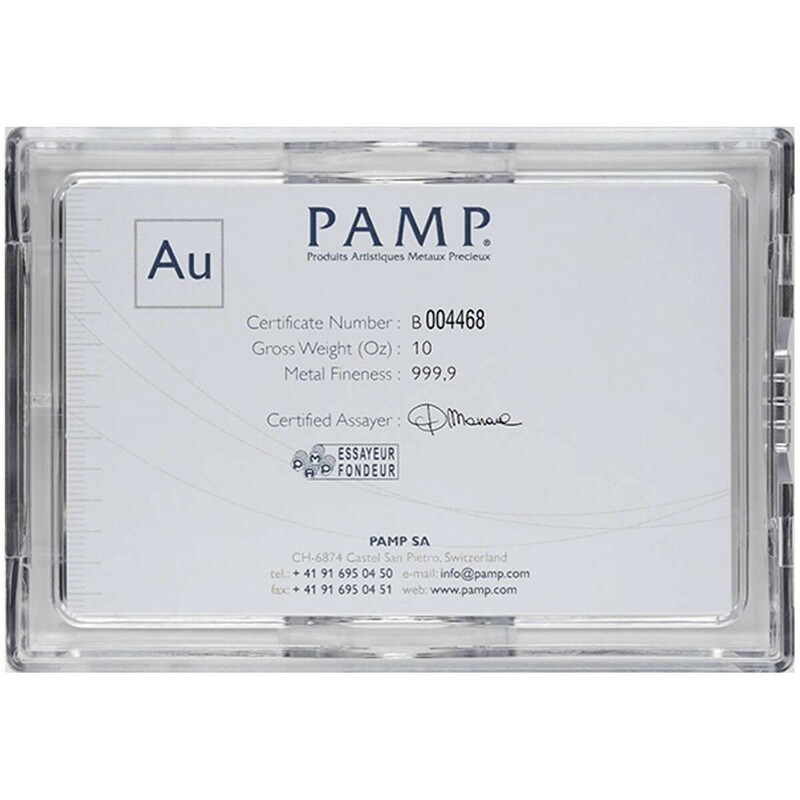 It is encased from the mint in a plastic case with matching assay card and serial number.